Professional cleaners expertly clean your home and office from top to bottom, leaving behind a gleaming, sweet smelling environment just for you. But what do we really know about them as people? Here are 7 popular myths that are simply begging to be debunked! Myth 1 – Only unskilled, high school dropouts clean houses and offices. People of all different backgrounds choose to do cleaning. 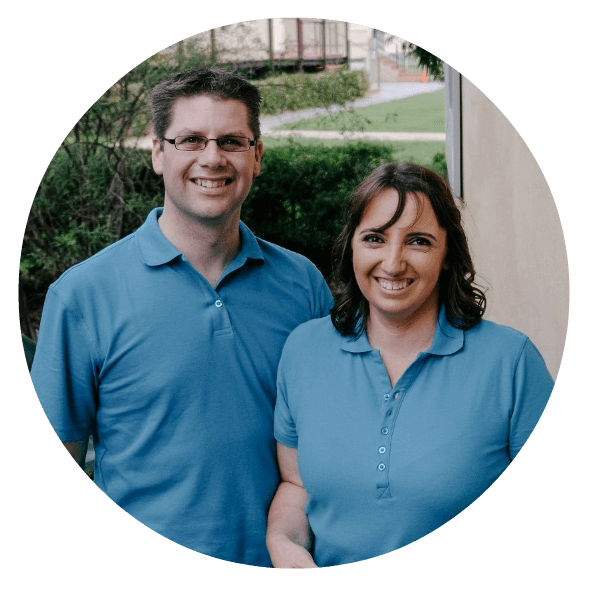 We have friends with university degrees who run a cleaning business as a lifestyle choice. It gives them freedom to work less and earn more. They can easily save up for their next 6 months living overseas. Sometimes they grow their business to the point where they can live permanently overseas or semi-retire. Yes! You read that right. We have friends that have semi-retired in their 30's from their cleaning business! Myth 2 – It's so easy to run a cleaning business. Anyone can do it. Ask any small business owner and they will tell you that running a business is hard work. And it's no different for a professional cleaner. They expertly juggle many different roles – marketer, sales person, customer service, accounts, web builder, time manager and problem solver just to name a few. 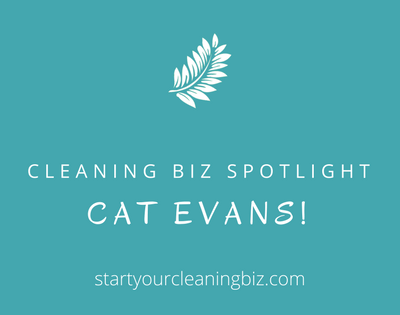 And as a cleaning business grows, the challenges increase, particularly if you decide to take on employees or contractors. That’s a whole new level of skills and problem solving! Myth 3 – You'll never make much money as a cleaner. There is a considerable amount of money to be made in cleaning. 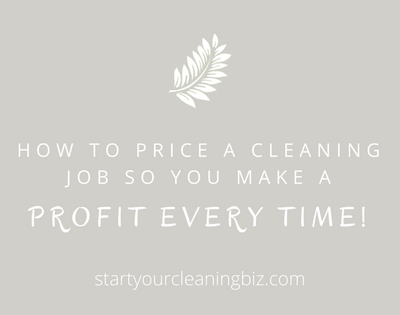 Some cleaners we know won’t clean for less than $60 an hour (and sometimes make more than that). With a full time workload, that’s well over $100,000 a year. 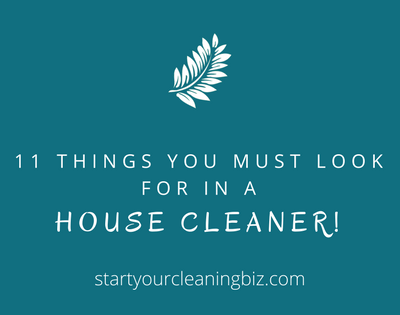 It all comes down to which cleaning jobs you get and how you do them. Myth 4 – They only do it because they have to. It is true that very few people tell their career counsellor at school that they can’t wait to be a cleaner. But once we get into the workplace we often find that working in the corporate world isn’t all it’s cracked up to be either. Hands up if you would rather travel the world, spend more time with family and answer to yourself rather than KPI’s or a manager. And lots of people are with you on that one. 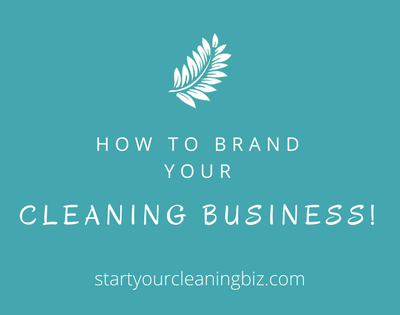 Choosing to be a cleaner and running your own business is often very much a lifestyle choice. 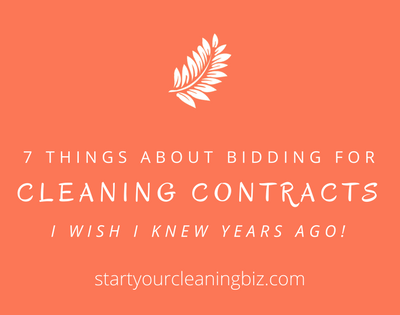 A lot of cleaners could easily go back to the corporate world but they choose not to. Myth 5 – Professional cleaners are snoopers and gossips. As with any industry or workplace, the reality is there’ll always be a ‘bad apple’. That being said, the majority of cleaners will not intentionally pry into the personal lives of their customers. And they won’t gossip about you either. Rest assured that your personal life isn’t going to be on public broadcast! Obviously though, cleaners, as with any business, get to know their clients well over time. And, a little like hairdressers, they tend to be good listeners. As well as a source of hints and tips! Myth 6 – Only rich people hire house cleaners. Who likes the thought of relaxing on the weekend rather than cleaning a house from top to bottom? Yes, you and thousands of others who are working full time. And the reality is that without a cleaner, chances are you are going to spend a good deal of time cleaning on the weekend, not relaxing. So with more people working fulltime, having a house cleaner is becoming mainstream today. And how wonderful is it to come home to a lovely clean home? To a busy, working couple, this is a small luxury that pays for itself! 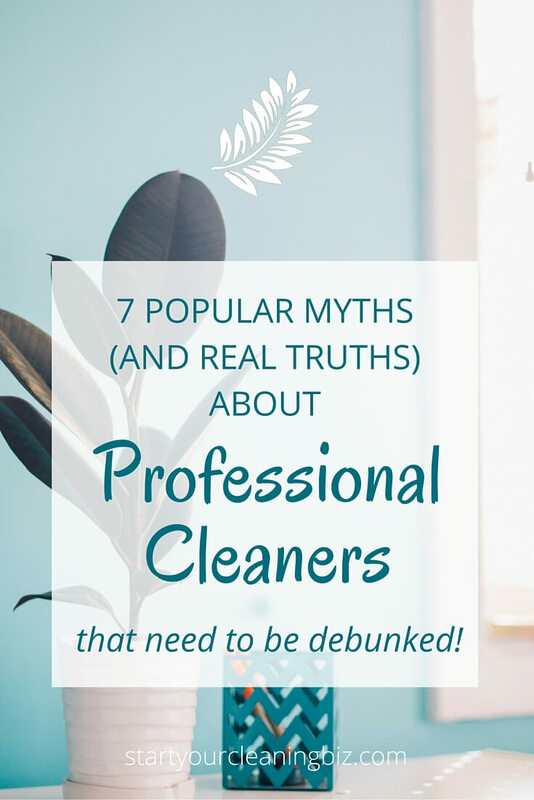 Myth 7 – Cleaners don’t actually care about their work or the environment! Most cleaners take a great deal of pride in their work. To them, there is enormous satisfaction in seeing a clean, gleaming floor or sparkling room! And there is a growing community of cleaners that take caring for the environment very seriously indeed. They gladly provide a valued service that doesn’t involve nasty, damaging chemicals. 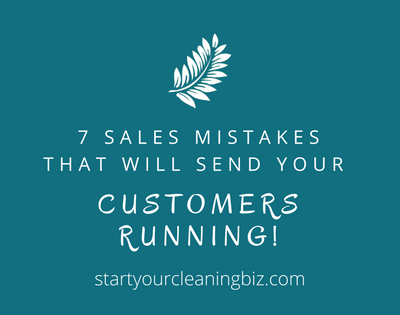 Most of these cleaners are concerned for their own health as well as that of the customer. Many don’t like working with harsh, damaging chemicals either! So it’s a win for the environment and a win for the cleaner! 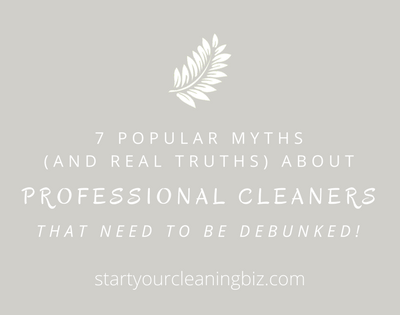 Do you know any more myths about professional cleaners that need to be debunked? Add them in the comments below!